If you like fishing, and you have a spare couple of hours, Corio Bay, Geelong, offers plenty of opportunities to drop a line, to sit and to relax and to see if you can bring home a catch, or tell your mates about "the one that got away". 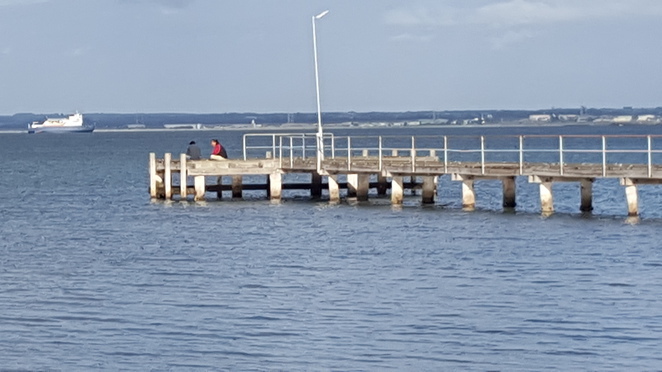 When I walked around Corio Bay recently, on my hike from St Helen's to Eastern Beach, I was happy to see that at every little pier or jetty dotted along the Corio Bay Waterfront, there were two or three people with rods set up, trying their luck. 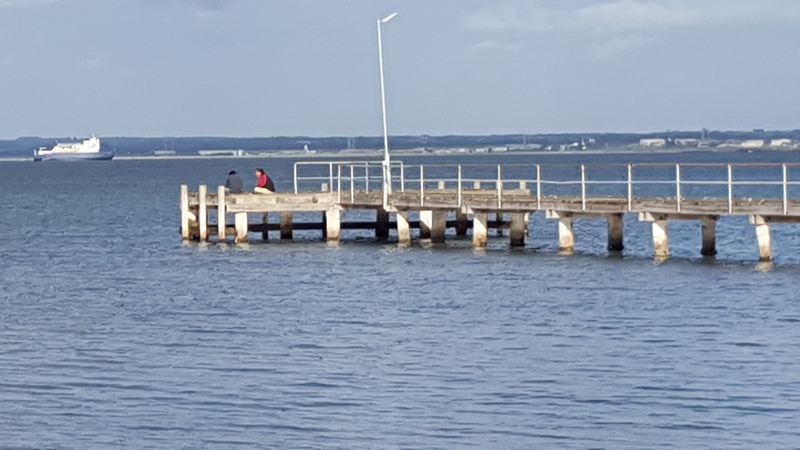 There are always lots of people at St Helen's beach, close to the car park, near the St Helen's boat ramp, with rods in the water. It seems to be one of the most popular places to drop a line. I spoke to a few fishermen along the way, curious to see what they were catching. The most common response was "pinkies, small schnapper, flathead and whiting". I am really not sure how many jetties there are along the waterfront. At North Shore there is a small car park near Pivot's wharf, and you'll often see a few cars down there, with groups of fishermen dropping a line. From North Shore, you can go and try your luck down at the old Jackson's meat works. I am not sure if you can still get down there by car now. I used to see people fishing down there when you could drive down there. One thing I do see a lot is people on pushbikes, heading towards Corio Bay, with fishing rods attached to their bikes. 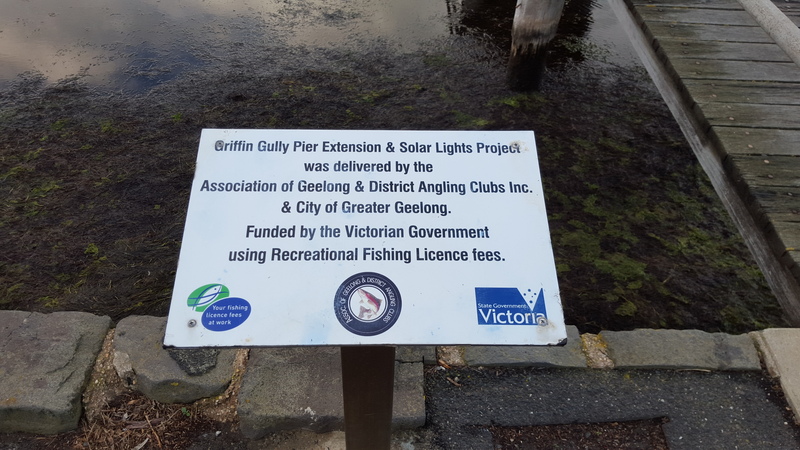 It really is a popular sport, fishing, and I am sure it's a nice way to spend the day, it is relaxing, and it's a great way to spend some time alone or with a friend. From St Helen's to Rippleside there are a few jetties, that branch out into the water. Most people who go out for a fish off the jetties come prepared, with chairs, buckets for their catch, bait, jackets, and drinks. St Helen's also has a boat ramp so the car park is always busy with boats heading in and out to fish out in the Bay. 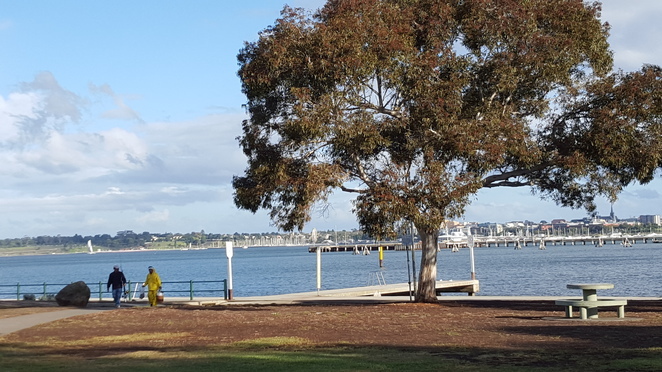 Further around the Corio Bay, I spotted fishermen (now I use the word fishermen but it could be women fishing too, the sport is not exclusive to men, I just didn't see any women fishing the day I walked along the waterfront) close to Cunningham Pier fishing close to the paths, and there are usually fishermen fishing off Cunningham Pier too. Further around the Bay there were not many fishermen dropping a line. I'm not sure if it's because there's not many fish biting, or if it's more of a touristy part of the Geelong Waterfront. From Cunningham Pier and towards Eastern Beach there are a few small jetties but I don't usually see many people fishing from them. 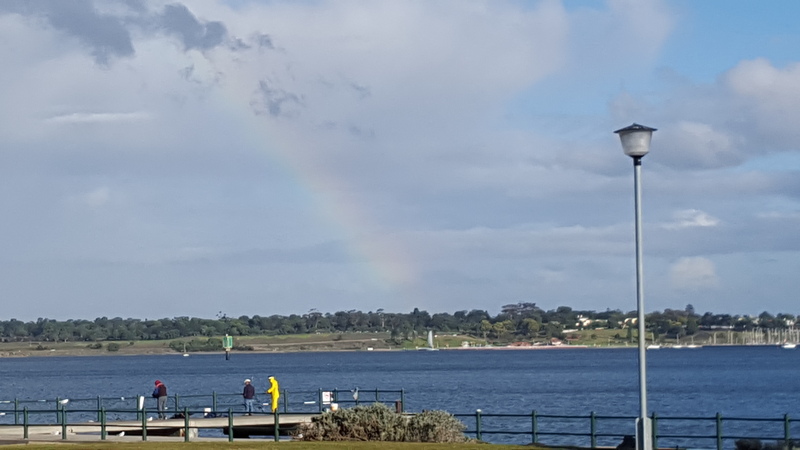 There are lots of things to do along the Geelong Waterfront, like The Carousel and the restaurants, which all take up space close to the Corio Bay. 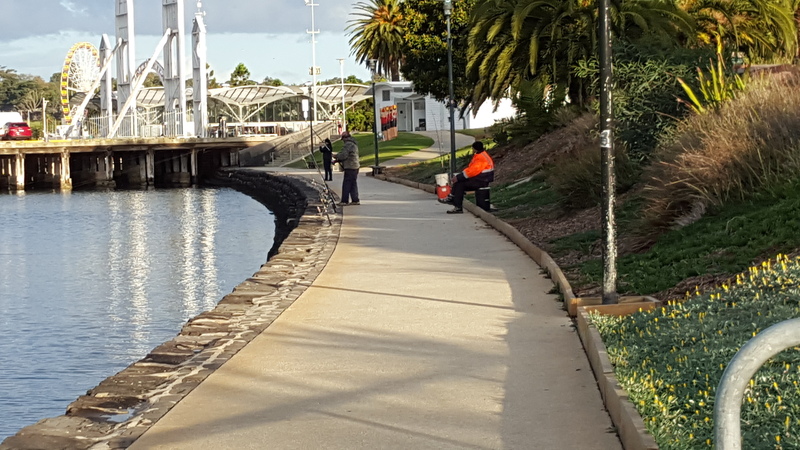 I do sometimes see people fishing from the rocks close to The Wharf Shed. 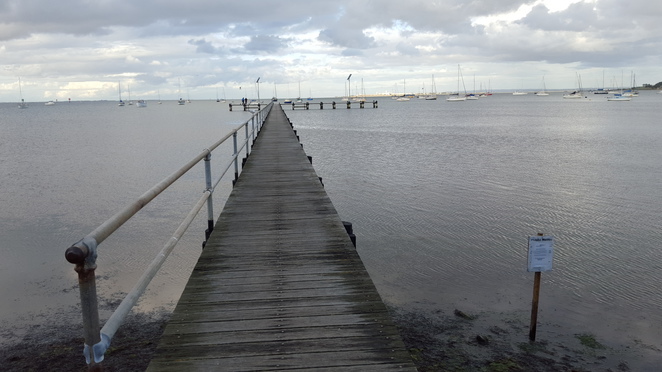 After the Wharf Shed there is not much space to fish from until you walk past the Royal Geelong Yacht Club and the marina. You could fish just past the Marina as there is a lot of open sandy beach there. however I haven't seen anybody casting a line there. This is close to where the Giant Ferris Wheel is located, and just before you get to the lawns of Eastern Beach. 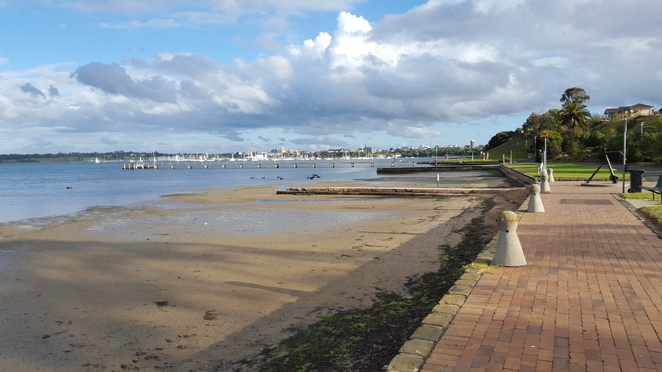 Past Eastern Beach, and the Children's Pool and Bathing Pool, there are some spaces where you could drop a line. The path leads all the way from Eastern Beach to Limeburner's Point. I haven't seen anybody fishing along the paths here but there is plenty of space to fish from the paths. I'm just not sure if any fish bite here. 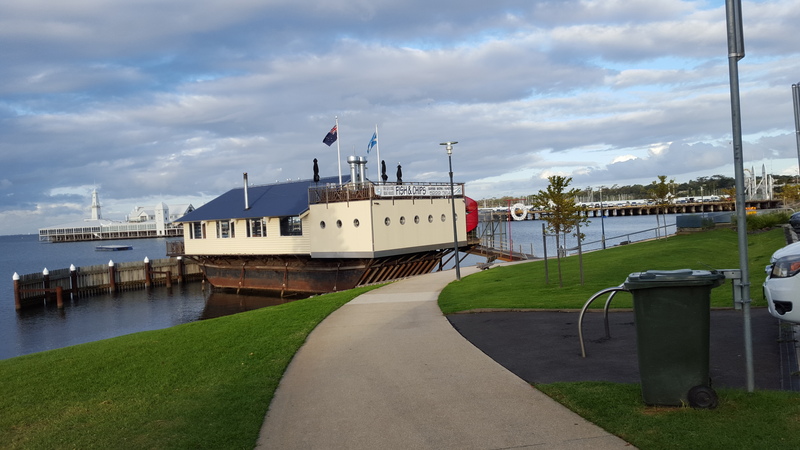 Limeburner's Point is the next boat ramp around from St Helen's boat ramp. Correct me if I am wrong here, any fishermen who are reading this. 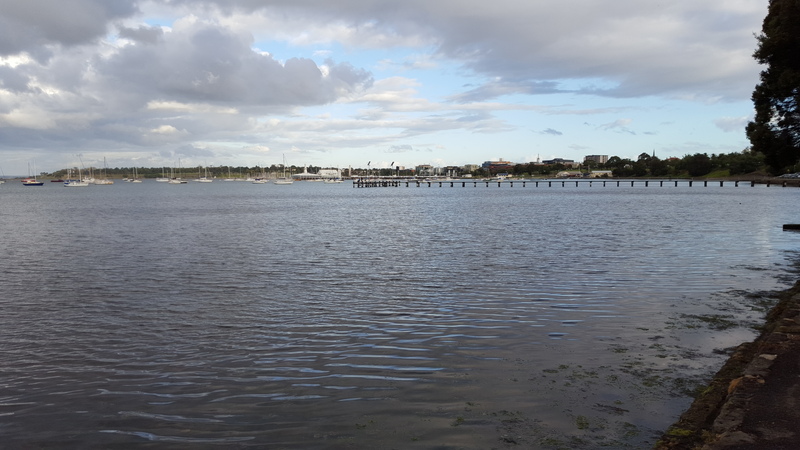 I don't know if there are any boat ramps between St Helens and Limeburner's Point. Limeburner's Point is a great place to launch your boat from and whenever I have been down there, I have spotted lots of cars and trailers, indicating that there is some good fishing to be had out in the Bay. You also see a lot of people dropping a line here at Limeburner's Point. 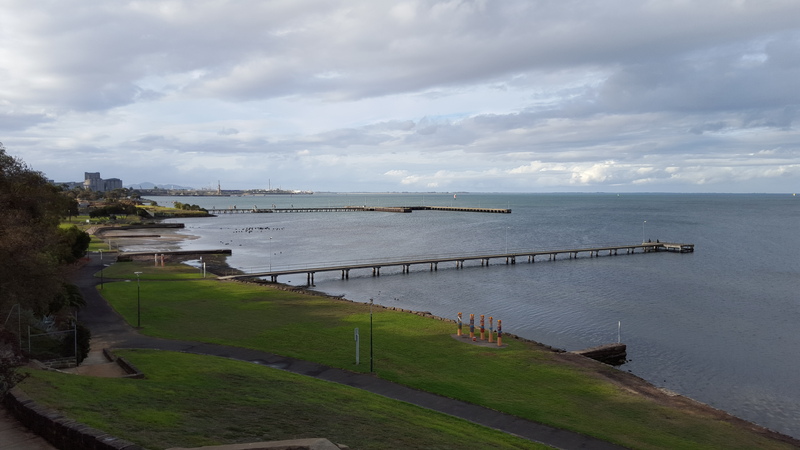 If you love fishing I hope that this review gives you a bit of an idea of where you can fish around Corio Bay. 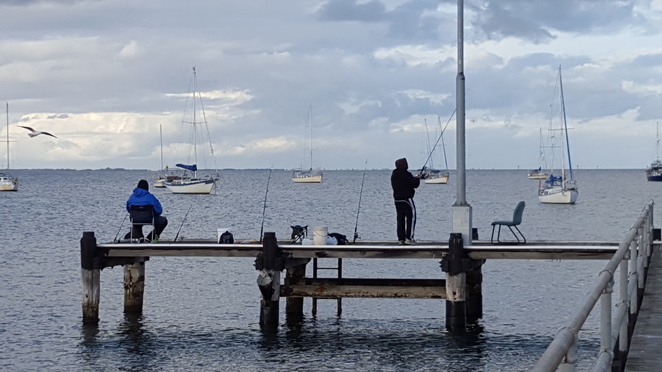 If you catch some fish and want to share your pictures I would love to see your photos on this Fishing Corio Bay review page. You can share you photos here easily, and I'd love to hear where you caught them from, what type of rod you used and what bait attracted the fish. Other fishermen would like to hear about your fishing story. And if you don't have any luck catching a fish you can always head to the Boat House, near Poppykettle Playground for a meal of fish and chips.